As we greatly value animal health in every aspect of our business, we have developed a close cooperation with vets over the years. Our dedicated vet visits our location several times a week. 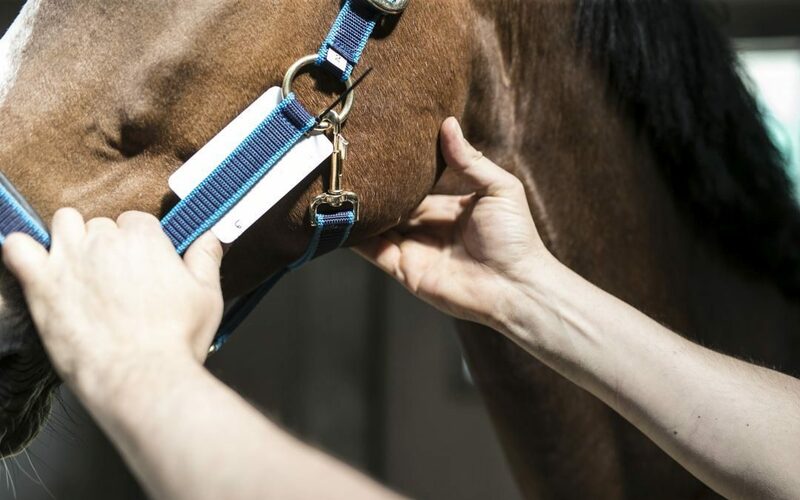 Many certificates issued by the vet have to state that the stables are free of certain diseases. The vet walks through the stables and closely monitors the horses so we can act instantly if we suspect something is wrong with a horse. The NVWA vet responsible for issuing the certificates is also frequently present at our location. On request we also assist the NVWA certification at another location. We are also in contact with vets from the area to assist them with sending blood samples and swabs to the right labs. The CEM swabs especially, which need to be carried temperature controlled, come with a strict protocol. We send in the lab forms and notify the courier. We use couriers that work with this procedure on an everyday basis, thus substantially increasing chances of a successful CEM test.